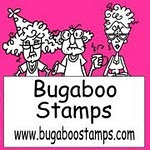 The challenge is June bug if want to join us for a chance to win! I colored the dragon fly with copics and fussy cut it. 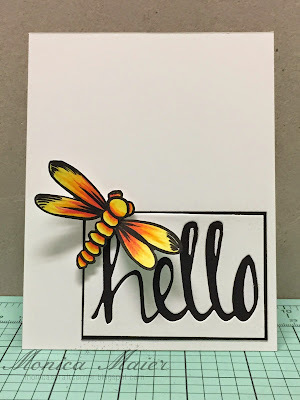 I used the negative of my hello die as my sentiment ( I love the font) mounted on black cardstock. The card is simple but I love how the colorful dragonfly pops off the page. Wow, I love that pop pf colour. Perfect!